Make yourself at home in one of the 170 air-conditioned rooms featuring flat-screen televisions. Complimentary wired and wireless Internet access keeps you connected, and cable programming provides entertainment. Private bathrooms have complimentary toiletries and hair dryers. Conveniences include safes and desks, as well as phones with free local calls. 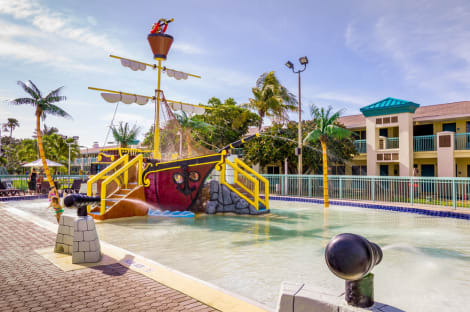 With a stay at Westgate Cocoa Beach Resort, you'll be centrally located in Cocoa Beach, within a 15-minute drive of Cocoa Beach Pier and Port Canaveral. 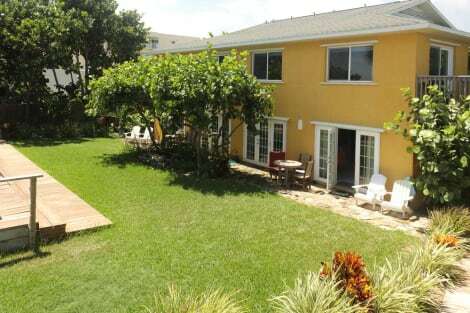 This 4-star condominium resort is 7.8 mi (12.5 km) from Cocoa Village and 18.4 mi (29.6 km) from Brevard Zoo. Make yourself at home in one of the 127 air-conditioned rooms featuring refrigerators and microwaves. Your pillowtop bed comes with premium bedding. Flat-screen televisions with cable programming provide entertainment, while complimentary wireless Internet access keeps you connected. Private bathrooms with shower/tub combinations feature complimentary toiletries and hair dryers. Take advantage of recreational opportunities offered, including an outdoor pool, a spa tub, and an outdoor tennis court. Additional amenities at this hotel include complimentary wireless Internet access, an arcade/game room, and gift shops/newsstands. Satisfy your appetite at one of the motel's 2 restaurants. A complimentary continental breakfast is served daily from 6 AM to 10 AM. Take in the views from a garden and make use of amenities such as complimentary wireless Internet access and concierge services. This cottage also features gift shops/newsstands, wedding services, and a television in a common area. Stay Smart at our hotel's site near Port Canaveral. Choosing to stay with us means you'll enjoy an ideal location and great amenities at one of the best hotels in Cocoa Beach. While Florida is famous for its sunshine, beaches and entertainment options, the Cocoa Beach hotel's reputation is built on our commitment to providing you with a comfortable stay. If business brings you to Cocoa Beach, our hotel has easy access to the World Famous Cocoa Beach Pier, and NASA's Kennedy Space Center. Our business center and available meeting room let you work without leaving our hotel's property. In Cocoa Beach, Florida the sun and fun are always easy to find, and when you stay with us, they're even closer than you might think. We're only two blocks from the beach, and when you're ready to take a break from the ocean, our Cocoa Beach hotel's staff is happy to offer suggestions for popular area attractions. From the charm of Cocoa Village to the technology of the Kennedy Space Center, there's no shortage of entertainment in and around Cocoa Beach. The hotel's amenities include free high-speed, wireless Internet access, a pool and spa and a fitness center. We also have the complimentary Express Start breakfast bar, which is served every morning. Our hotel's staff in Cocoa Beach, Florida handles the little details so you can focus on all the fun. Book your next stay with us today! Make yourself at home in one of the 295 air-conditioned rooms featuring refrigerators and flat-screen televisions. Your pillowtop bed comes with down comforters and premium bedding. Netflix provides entertainment, and wired and wireless Internet access is available for a surcharge. Private bathrooms with shower/tub combinations feature deep soaking bathtubs and designer toiletries. lastminute.com has a fantastic range of hotels in Cocoa Beach, with everything from cheap hotels to luxurious five star accommodation available. We like to live up to our last minute name so remember you can book any one of our excellent Cocoa Beach hotels up until midnight and stay the same night.